Emerging out of a broader vision of first-class hospitality and blending it all with top-notch vegetarian restaurant chains, Surguru Hotels and Restaurants bring you diverse accommodations to suite your pocket, and exquisite culinary experiences to make your stay comfortable and delectable at the same time! Pondicherry’s age-old French influence and a predominantly cosmopolitan settlement, the two together, have brought about a big change in the ways we look at serving our customers. Whether on a business or leisure trip, professionalism, high integrity and quality service with out most care and sensitivity is what makes Hotel Surguru synonymous with hospitality in this beautiful colonial French town located in the South of India. Our multiple conferencing and banquet facilities are features that add to our unmatched services. Whether it’s for corporate parties and town halls or for social gatherings, our dedicated team helps our clients experience a remarkably pleasant and personalized service. Hotel Surguru works continuously to guarantee a memorable and best-in-class experience to our clients and travellers, all alike. Our flagship restaurant is located right at the entrance of the city. 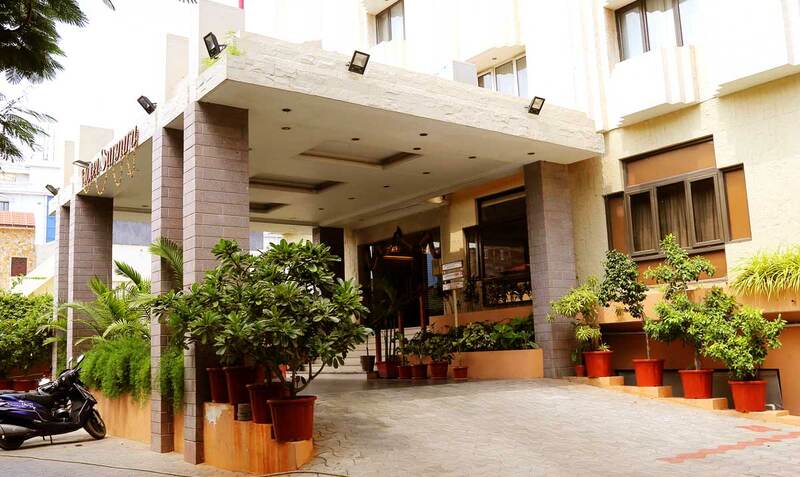 Our latest addition is situated at the geographical heart of Puducherry. The modern interiors match the hustle and bustle of the shopping district. The perfect blend of Tamil flavours and French architecture.